Quorn Foods has announced its unprecedented H1 results along with a £150m investment in its Billingham facility, creating hundreds of jobs in Teesside and North Yorkshire over the next 5 years. The £150m investment will make the company’s Billingham production facility the largest of its kind in the world. Quorn Foods achieved 15% growth in the UK market in H1 of this year, with an overall growth rate of 19% globally. The sustainable and healthy protein product, which is exported globally, is expected to become a billion dollar brand by 2027. 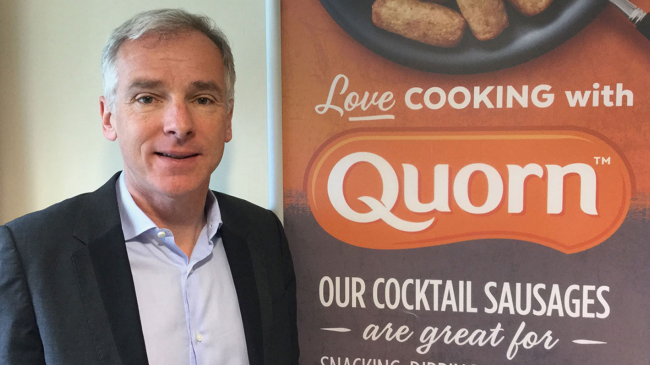 “We are proud to be contributing to the UK’s export drive and to be investing in a British innovation that is vital to addressing the future need for protein across a growing global population,” said Quorn Foods CEO, Kevin Brennan. Growth has been strong in the EU, where Quorn Foods continues to invest. The company has however, driven aggressively outside the EU. The US business is up 40%, Australia 35% and Asia, a new market for Quorn Foods, is also succeeding. The investment will cover the expansion of the company’s main manufacturing facility at Billingham, Teesside and will create hundreds of jobs covering construction, operating the new facilities and providing key support services to the site. The company’s billion dollar potential is rooted in the fact that a ‘flexitarian’ diet is not merely a trend or food fad, but a genuine move to reduce the over consumption of meat and instead choose foods including protein sources that are healthier for you and for the planet. The global population is in desperate need of protein sources that are healthy and sustainable. Quorn Foods is a business that is meeting the needs of a growing demographic who are switching to alternative sources of protein to meat for health or environmental reasons. Quorn uses Mycoprotein which is low in saturated fat and produces fewer GHG emissions; in fact Quorn mince contains 90% less saturated fat than a meat spaghetti bolognese and 90% lower GHG emissions than beef.